The 2019 General Assembly session starts in 6 days. From January 9th - February 23rd, I will be down in Richmond, full-time, working on new laws and regulations for the Commonwealth. During the session, I will be releasing a weekly newsletter which will highlight the happenings of the General Assembly and provide updates on the legislation I am carrying. In addition to the legislation highlighted in last month's newsletter, I am also proud to sponsor legislation which tackles the issue of climate change and our transition to "green" energy sources, as well as bills which address the issue of sexual assault and exploitation, congestion mitigation and tolls. For an up-to-date review of legislation I am sponsoring and the status of these bills, click here. You can also view all the legislation proposed thus far by clicking here. I look forward to representing you in the coming session. If you ever have questions or comments about what's happening in Richmond, please do not hesitate to contact my office DelKDelaney@house.virginia.gov or 804-698-1067. May 2019 be our best year, yet! The 2019 General Assembly Session starts in 6 days! Please fill out the below survey and let me know of your priorities for the upcoming session. Please fill this out by noon on Wednesday, January 9th. If you have any questions, please do not hesitate to contact my office at 703-996-9415 or DelKDelaney@house.virginia.gov. 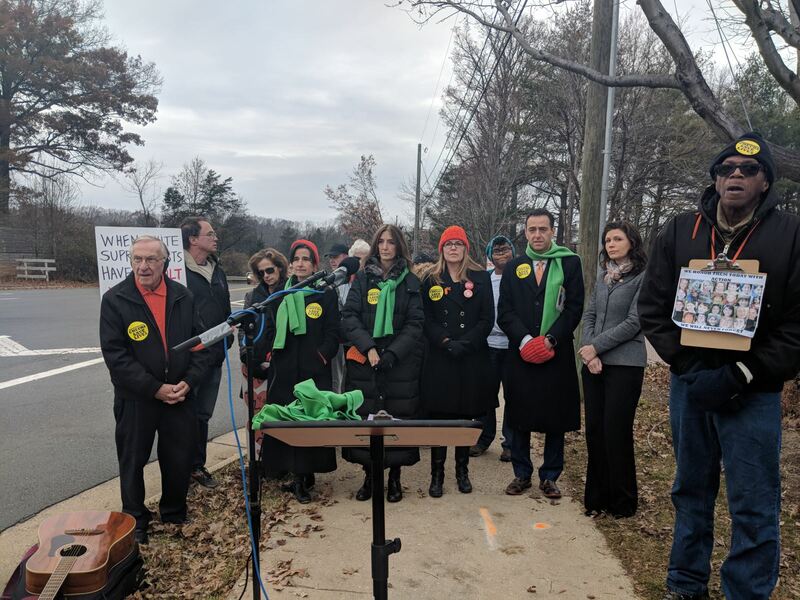 The Fairfax County delegation to the General Assembly will hold a hearing for public comment regarding the upcoming 2019 session on Saturday, Jan. 5. The forum begins at 9 a.m. in the Board Room of the Fairfax County Government Center, 12000 Government Center Parkway, Fairfax, with parking available in front of the building. Only Fairfax County residents may register to speak, and individuals may speak on their own behalf or on behalf of an organization serving county residents. Fairfax County is assisting with the logistics of the delegation’s event. Fairfax County Board of Supervisors Chairman Sharon Bulova will welcome the delegation to the Government Center on behalf of the Board of Supervisors and deliver brief remarks. 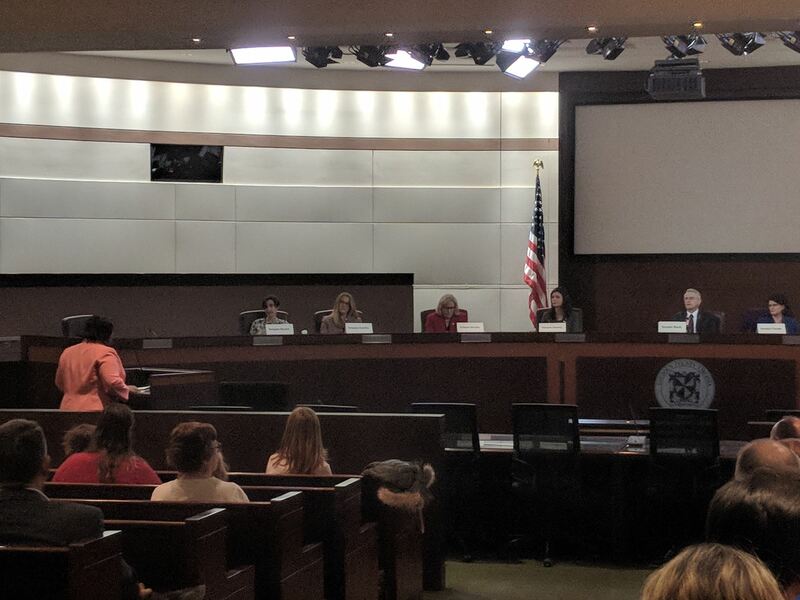 Fairfax County residents who want to sign up in advance to speak at the hearing should register online or contact the Office of the Clerk to the Board of Supervisors at 703-324-3151, TTY 711, by noon on Thursday, Jan. 3. Requests for ADA accommodations should be made as soon as possible but no later than 48 hours before the public hearing. All speakers are asked to personally register here for their speaking slot (residents needing assistance will be helped on a case by case basis). Organizations are encouraged to limit their number of speakers to a maximum of five. Additional attendees in support of said organization at the public hearing may be recognized by the chair. Speaking slots will be numbered based on a first-come, first-served allocation. I invite you to meet with me on January 19th from 10:00 am - 2:00 pm at Chantilly Regional Library for my monthly office hours. 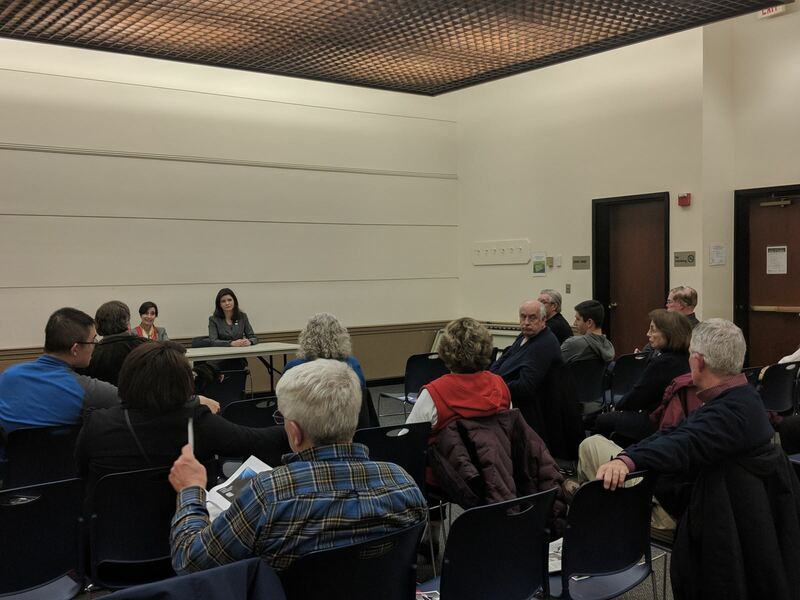 Office hours will allow constituents of the 67th District to express their concerns or comments on what's happening at the state level and within the district. To ensure that I have time to see everyone, we ask that you sign-up for a time slot at https://www.signupgenius.com/go/20F0E45ADAD29AAFD0-delegate11. There will be a special election to fill the 33rd Senate District (previously held by Jennifer Wexton) on January 8, 2019. Only qualified voters of the 33rd District are eligible to vote in this election. There are two candidates on the ballot: Jennifer B. Boysko - D and Joe T. Mays - R.
Not sure if you're in the 33rd Senate District? Check using the "My Neighborhood" app! January 2, 2019 - Voter Registration Deadline (In-Person/By Mail) 5:00 p.m.; Online: 11:59 p.m.
January 2, 2019 - Deadline to apply to receive an Absentee Ballot by mail, fax, and online: 5:00 p.m.
January 5, 2019 - Deadline for In-Person Absentee Voting: 5:00 p.m.
In-Person Voter Registration Deadline: Wednesday, January 2, 2019, at 5:00 p.m.
By-Mail Voter Registration Deadline: Postmarked no later than January 2, 2019. Last day to apply to have a ballot mailed to you is Wednesday, January 2 at 5:00 p.m.
Last day to vote an absentee ballot in person is Saturday, January 5 (office will be open 8:30 a.m. to 5:00 p.m.). It has been a pleasure to see some of you all out in about the 67th District! 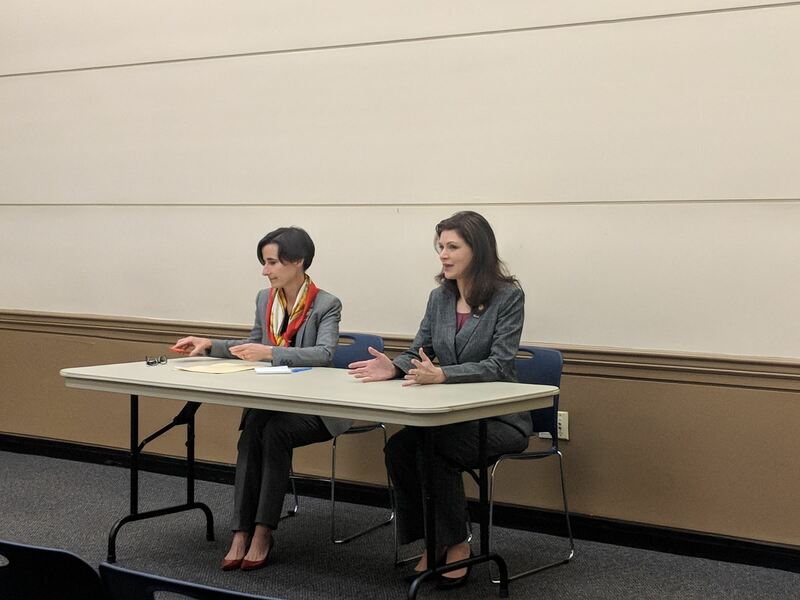 If you or your community organization is hosting a meeting or forum and would like me to attend, please reach out to my office at 703-996-9415 or DelkDelaney@house.virginia.gov.